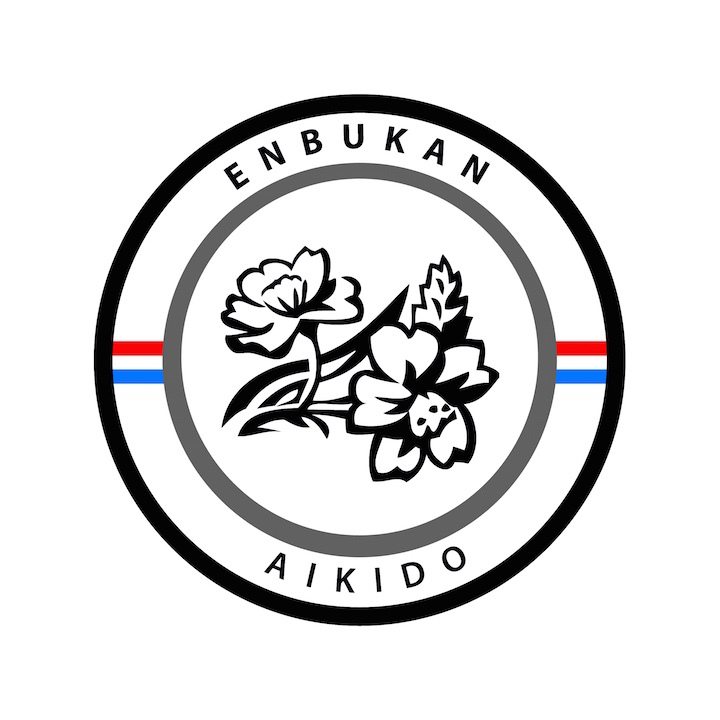 On the 6th and 7th of June 2015, Enbukan organises an international Aikido seminar with Shishiya sensei, 7th dan Aikikai and hombu-dojo shihan. Shishiya sensei practices Aikido for more than 50 years. For over 35 years he was the assistant of Shoji Nishio sensei. He travels regularly to Europe to teach his Aikido. In Japan he has his own dojo’s and organisation (Meiseikai). His Aikido is sometimes referred to as “Nishio-Aikido”, in memory of Nishio sensei. 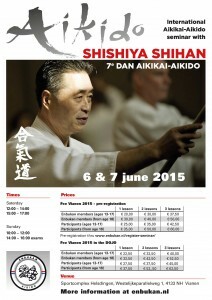 This is the sixth time that an Aikido seminar with Shishiya sensei will be held in the Netherlands. 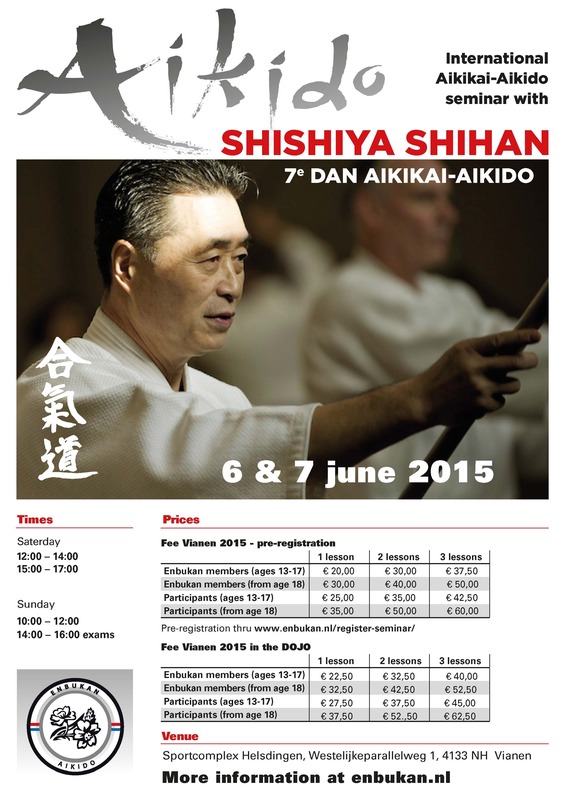 The seminar will be held in the Dojo of Kyorakukan in Vianen. The dojo opens at 11.30. We will allow a maximum of 50 people on the tatami. The dojo has catering facilities and nearby is the centre of Vianen with lot of facilities. Bring your Jo, Bokken (and Iaito) to the seminar. For our international guests, below a few addresses to stay during the night.